Did you know that eating disorders are twice as likely to occur in teenage and young adult women with type 1 diabetes as they are in the general population? Between 30 per cent and 40 per cent of women in this age range alter their insulin doses to control their weight. This practice is referred to as diabulimia and it can have profound medical consequences for individuals who suffer from it. Denise De Campos is one of the many Canadian women who have fought with the disorder and won. Ms. De Campos was diagnosed with type 1 diabetes at the age of 16. She says that it didn’t really affect her life when she was initially diagnosed, and she didn't have a difficult time incorporating all the aspects of diabetes management into her life. She was very active as a dancer, and was used to leading a healthy lifestyle. Making occasional minor adjustments to her care to account for the amount of exercise that she did was her only challenge. Ms. De Campos ran into trouble in her early 20s when she moved away from home to attend Ryerson University’s dance program, where she was studying for a Fine Arts degree. The atmosphere in her program was highly competitive, and the pressures of the dance world led her to have body image issues. On her own for the first time, she didn’t have anyone around to help her manage her medical regimen. Gradually, this approach took its toll. 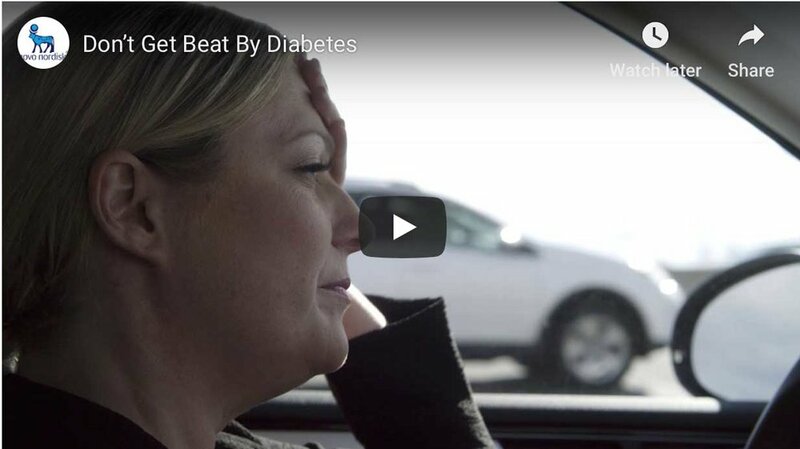 “It wasn’t something I could keep up for a long period of time – I would start to take insulin or else I would get really sick.” She rebounded back and forth between taking her medication and not taking her medication. “Once you start taking insulin again, your body compensates by retaining water and food.” Her life revolved around ensuring that she was always around a bathroom and her energy levels took a major hit. She decided that it wasn’t working and she went looking for help from her medical team. Diabetes management – and the perfectionism it instills – was also a factor for Ms. De Campos. “Diabetes management places a lot of emphasis on control. The amount of food intake, quality of food, exercise, managing insulin doses, weight management and more become a constant focus. It can become all-consuming on its own.” Add body image, weight issues and other eating disorder risk factors to the mix and it becomes a perfect storm. Dr. Michael Vallis is an expert on diabetes and mental health, a registered psychologist at Capital Health, and an associate professor at Dalhousie University in Halifax. In his clinical work with the hospital, he sees patients who are dealing with diabetes-related eating disorders, including diabulimia. In one instance, Dr. Vallis was approached by a health-care provider concerned about a patient who would not take her insulin. “It’s extremely distressing to health-care providers to see someone not taking their insulin, but we can’t force them. We have to hold in our distress and let her know that we are willing to listen to her,” he says. “We help her understand why she needs to take her insulin and empower her.” With this psychological support, the young woman did eventually take her insulin. During the process, she looked without success for someone who had been through the same thing. While forums and social networks are now available to connect recovering diabulimics, the care of a mental health professional is still essential to the recovery process. Once Ms. De Campos left the eating disorder outpatient program, she focused on the positive things in her life, decided to leave the world of dance, and retooled her career path to pursue social work and health promotion. She has worked for the Canadian Diabetes Association (CDA) on various advocacy initiatives, including managing the Monitoring for Health program. Currently in her late 30s, she has a satisfying career in the non-profit health sector. When we spoke to Ms. De Campos, she was in the final weeks of her maternity leave after giving birth to a healthy baby boy. “I’m healthy for my child now,” she says. Visit the CDA’s page on eating disorders for more information about what to do if you, a friend or loved one with diabetes is struggling with an eating disorder.